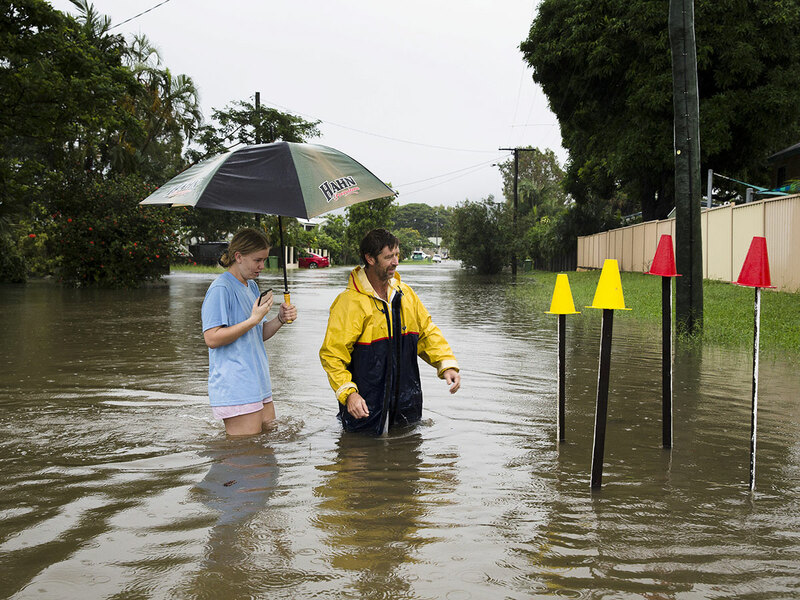 Thousands of residents in the city of Townsville in northeast Queensland were without power and up to 20,000 homes are at risk of being inundated if the rains continue. The region receives an average of some 2,000 millimetres (6.5 feet) of rain annually but some towns were already on track to pass that total. The town of Ingham received 506 millimetres of rain in 24 hours between Saturday and Sunday, of which 145 millimetres fell in just one hour, bureau meteorologist Adam Blazak told AFP. The volume of water is just incredible. Downstairs is gone, the fridge and freezer are floating. Another five or six steps and upstairs is gone too.